Specialty Group Pty Ltd is proud to announce that an exclusive agency relationship has been established between it’s Specialty Theatre Supplies division based in Melbourne with offices in Auckland and Singapore and Hoist UK based in Bromborough, UK. Established in 1969, Specialty Theatre Supplies is an Australian-owned specialist in theatre and live performance space fit out projects of all sizes. With extensive experience in 28 countries across the globe, Specialty Theatre Supplies works to provide clients with the best possible solution from design and supply to installation and on-going maintenance. In addition to Hoist UK, Specialty Theatre Supplies also represents other leading global brands in theatrical equipment and supplies such as Wenger, JR Clancy, Prolyte, Signbox for digital signage and Rosco. This exclusive relationship with Hoist UK gives Specialty Theatre Supplies access to high-quality and innovative stage lifting, rigging and handling equipment from one of the world’s leading manufacturers. Hoist UK manufactures a wide variety of hoists and winches including manual and electric pile-wind winches. “We are excited to offer our clients such a quality product” said Grant Gaylor, Sales & Project Manger at Specialty Theatre Supplies. “Not only are Hoist UK winches and lifting equipment robust and sophisticated, but given the currently strong Australian and Singapore dollars, we can offer these products at very competitive local pricing compared to other manufacturers” said Grant. 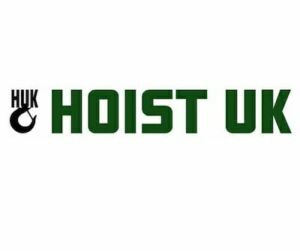 “We are pleased to be working with an established operator like Specialty in these markets” said Paul Jordan, Director at Hoist UK. “We think our products will have a technological advantage over some of the locally made products in the Australian and New Zealand markets, while the current weakness in the British Pound means our products can be very competitively priced as well” continued Paul. Since 1969, Specialty Group has been providing theatre, stage and cinema equipment and services to the performing arts and cinema exhibition industries in Australia, New Zealand and 28 countries around the world. Specialty Group operates under the Specialty Theatre and Specialty Cinema brand names and has offices in Melbourne, Auckland and Singapore. Hoist UK was founded by Tony Dickson and Paul Jordan, who together have over 30 years of experience in industrial and entertainment lifting equipment. Hoist UK equipment has been installed in a wide variety of sports arenas, convention centres and performances spaces across the UK and around the world.